UK Stampin' Up! 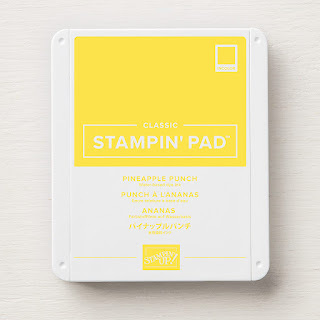 Demonstrator | make beautiful cards | Crafty Hippy: Take a look at Pineapple Punch, a fabulous new colour from Stampin' Up! 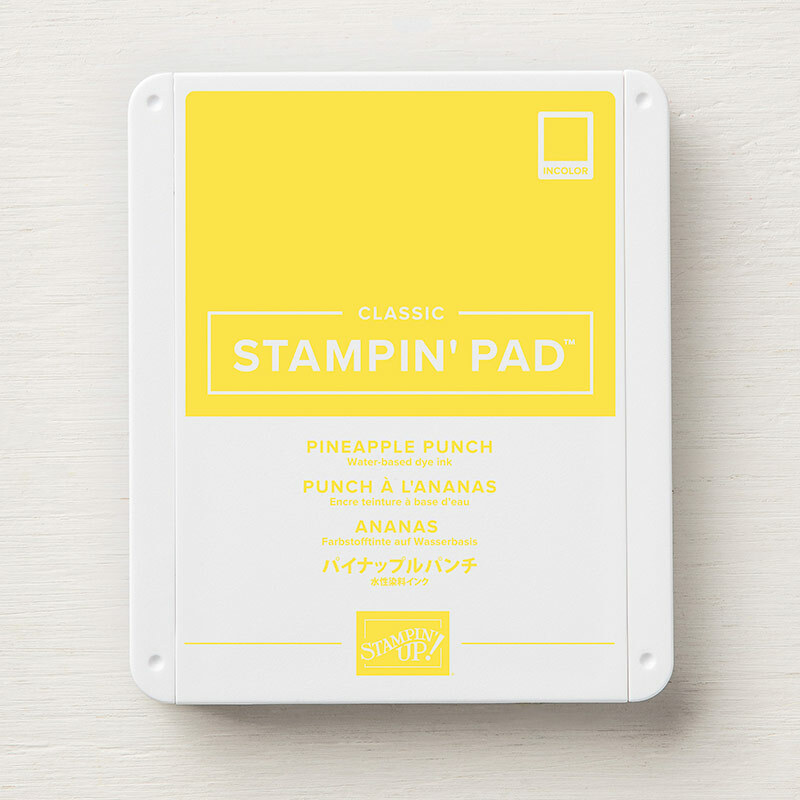 Take a look at Pineapple Punch, a fabulous new colour from Stampin' Up! 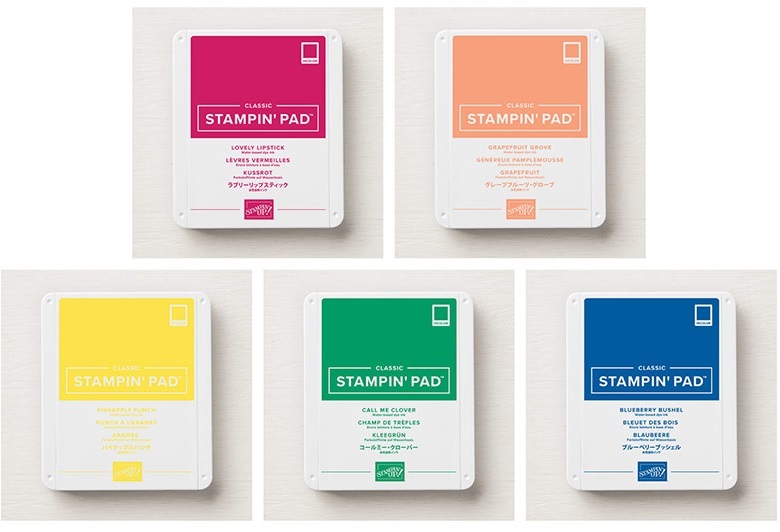 So as you may know, we introduced the new In Color 2018-2020 Classic Stampin' Pads a month early in May to celebrate Stampin' Up! 's 30th birthday. I'm loving the new Pineapple Punch from this collection, it's such a happy shade! I can see myself using this new colour a lot. In fact all the colours in this new colour collection are gorgeous. They are extremely bright and vibrant and fill the gaps that we had in our colour palette. They are called Lovely Lipstick, Grapefruit Grove, Pineapple Punch, Call Me Clover, and Blueberry Bushel. With 16 other new (or returning) colours coming on the 1st June in our new catalogue, 2018 is set to be a very exciting (and fresh!) year for Stampin' Up! 1. Using the Love What You Do set stamp the watercolour wash, and then flowers over the top in the same colour. 2. Use the Labeler Alphabet stamp set to create your sentiment. 3. 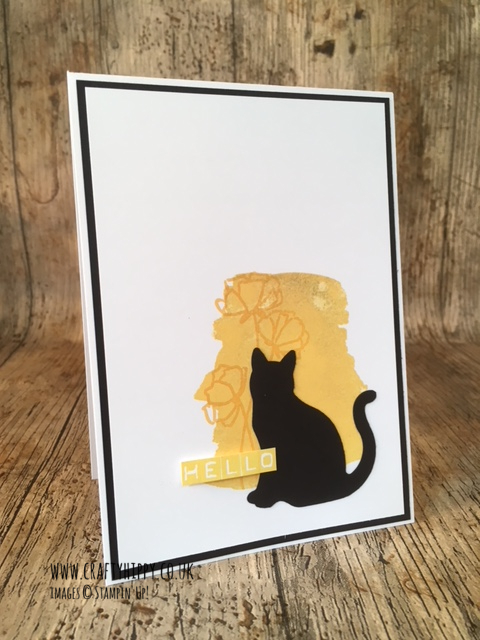 Use the Cat Punch and some Basic Black Cardstock to create your cat. Of course you can change the colour of the cat, or any other element of this project, if you wish. 4. Mount your card front on to Pineapple Punch Cardstock. 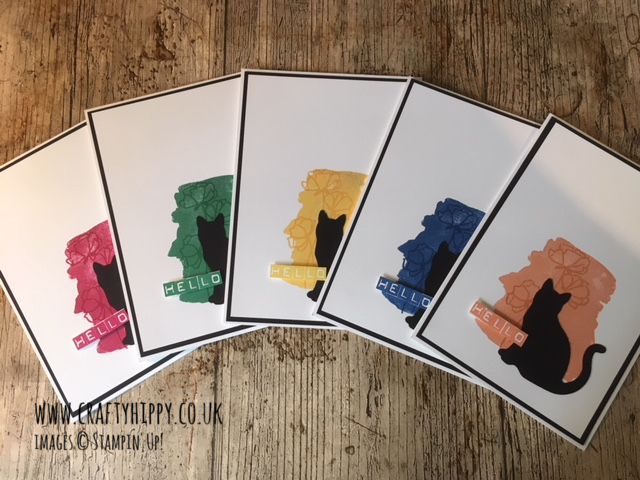 Aren't they lovely cards? Of course you can add embellishment or extra stamping for more depth.